Please use a bold black pen on white paper or an artwork program to create your design. Keep your design within 148 x 210 mm (A5) You can also send printed documents such as invitations. Now you have the opportunity to be the designer and see this beautiful large storm lantern engraved with your own design. Whether you are 5 or 85 an artist, calligrapher or hopeless at drawing, this is a great way to express yourself and create something truly unique. 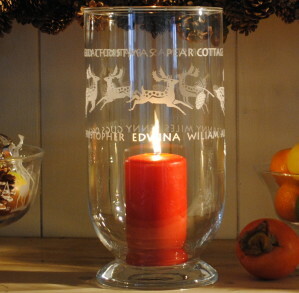 A Large storm lantern engraved with your own design makes great gifts for Weddings or Anniversaries, Mother’s or Father’s Day, Birthdays or Christmas. From a naive drawing of a favourite subject to a poem or a detailed Botanical drawing, this is you chance to see your work engraved and to create something special that will be enjoyed for years to come. 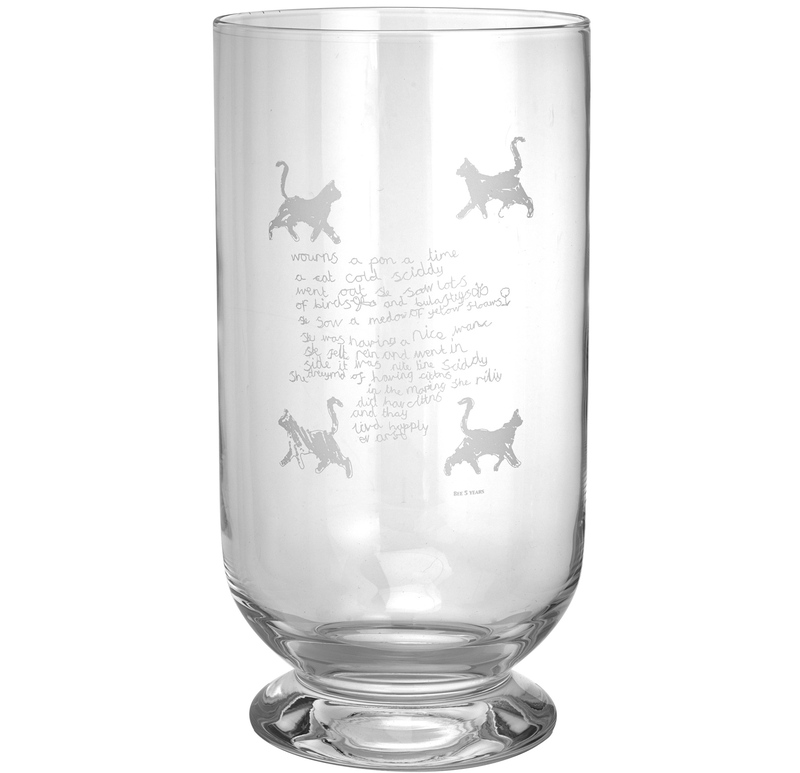 The designs that work best for engraving are simple black and white with no 1/2 tones. Don’t worry too much, but try to keep the drawing smudge free. We can remove the odd smudge! Another option for this storm lantern is to have an invitation copied. 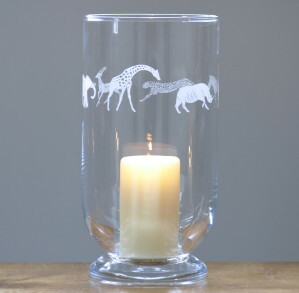 A great gift to give a couple on their Wedding and and a happy reminder of Anniversaries and other special occasions too. You may simply wish to have text engraved, in which case please select whether you would like the text engraved on a band going around the Storm lantern (engraving area ONE) and/or engraving on the front of the storm lantern (engraving area TWO). Thank you Jojo for creating a beautiful design from a sketch supplied. It was for a special occasion, and Jojo turned it round in very good time despite the short notice. 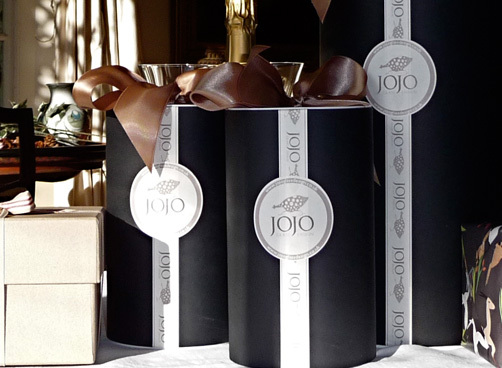 A wonderful gift, personalised for a special occasion, Jojo Glass Design took care to create lovely artwork, I felt confident with their advice and the beautifully wrapped package was delivered promptly. All round excellent service! A beautiful and unique engraving exactly as requested for a special birthday- thank you ! Great service and quality. 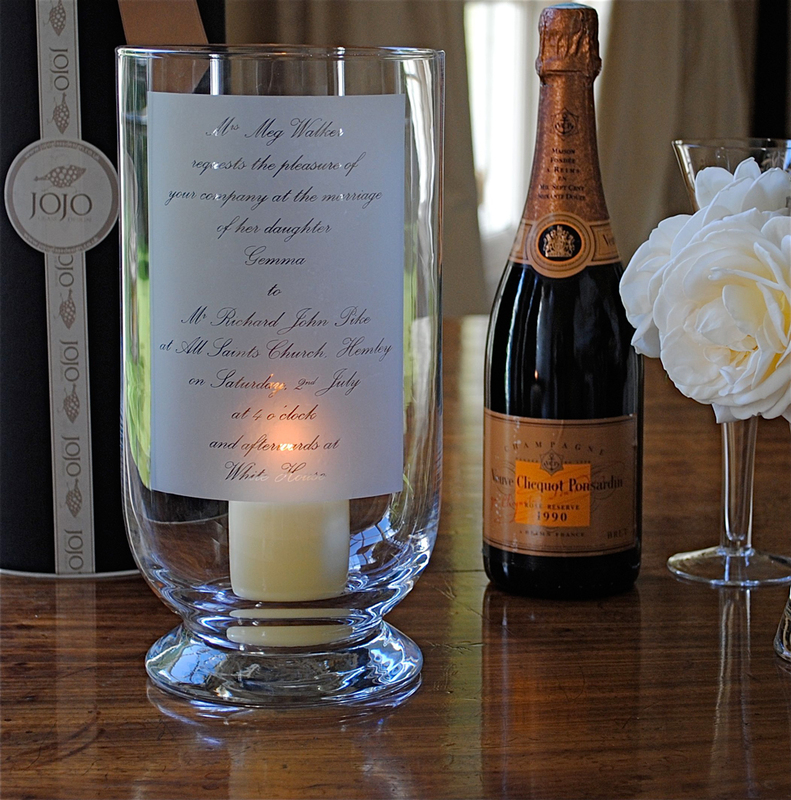 Brilliant service and great quality – beautifully engraved and arrives beautifully packaged! I’m delighted!